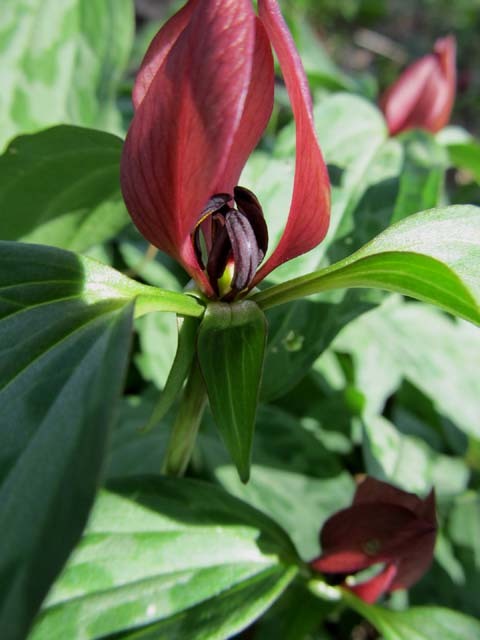 Purple trilliums bloom in two clumps in my spring wildflower garden. 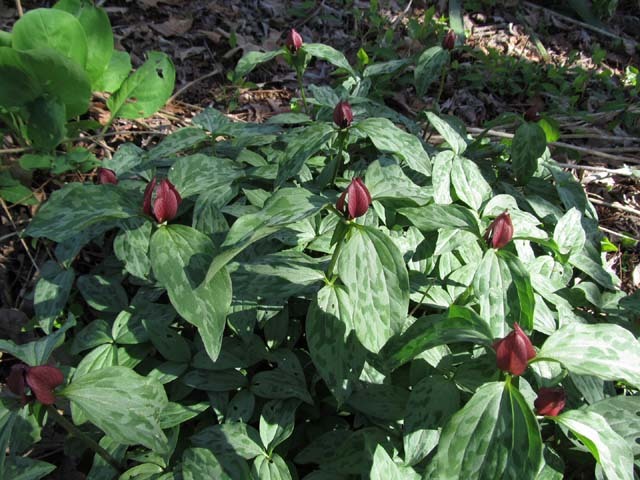 Each plant has three leaves. Each flower has 3 petals. 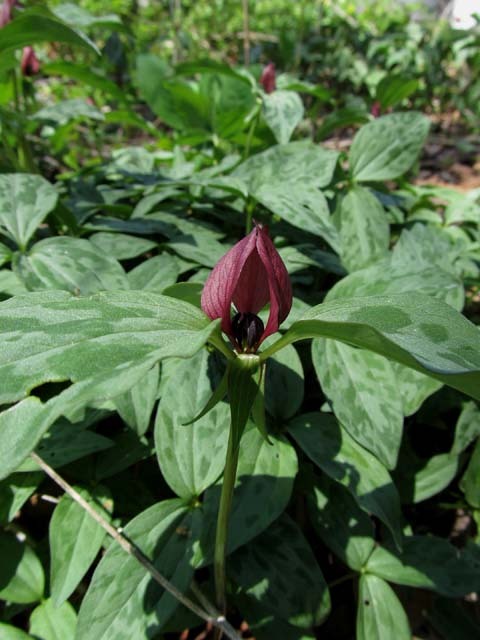 The scientific name trillium recurvatum refers to the 3 recurved green sepals. Six anthers crowd around the pistil. I’ve never heard of this one. 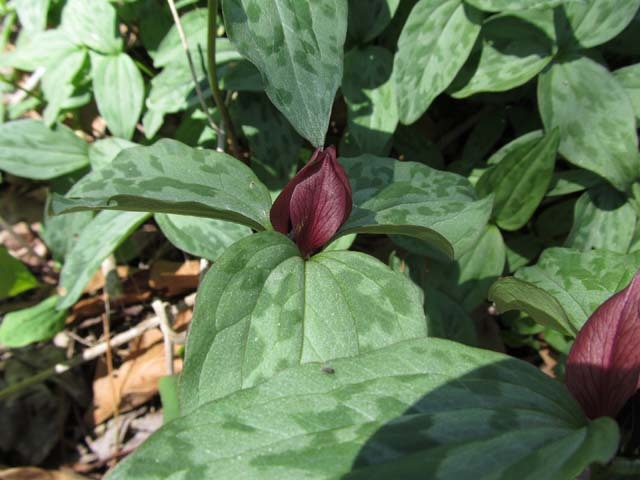 Its leaves remind me of toadshade trillium (Trillium sessile). This one is common. I just checked and the sessile one’s been collected in 3 counties in southern Illinois, 3 counties on the eastern edge of the state and several in north eastern part.